May 15, 2015 - Bombardier Business Aircraft has confirmed this week that current economic conditions and geopolitical issues in some market regions, such as Latin America, China and Russia, have impacted order intake levels industry-wide. 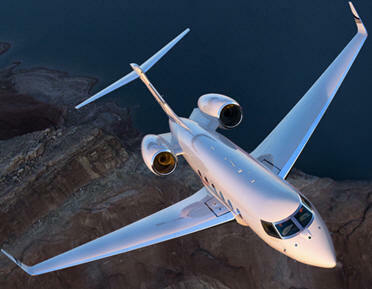 As a result, Bombardier Business Aircraft will reduce its production rate for Global 5000 and Global 6000 aircraft. Approximately 1,750 employees, up to 1,000 in the Montréal region, up to 480 in Toronto and up to 280 in Belfast will be progressively impacted at various stages of the Global 5000 and Global 6000 production cycle. Reductions will begin in June 2015 and continue progressively through the first quarter of 2016. Bombardier will communicate with affected employees over the coming months and work to mitigate the impact as much as possible. “We have seen an industry-wide softness in demand recently in certain international markets and are taking steps to adjust our production accordingly. We fully understand the impact this will have on our affected employees and their families and we will do everything possible to support them,” said Éric Martel, President, Bombardier Business Aircraft. “Bombardier constantly monitors the market and adjusts to trends and opportunities. Despite this short-term softness in international markets, we are well positioned to be the market share leader in the segments where we compete,” Martel added. In the latest U.S.-based General Aviation Manufacturers Association (GAMA) aircraft deliveries shipment and billing results, Bombardier is once again the industry leader in unit deliveries in the first quarter of 2015. In the segments where it competes, Bombardier has been the delivery unit leader for 10 consecutive years.